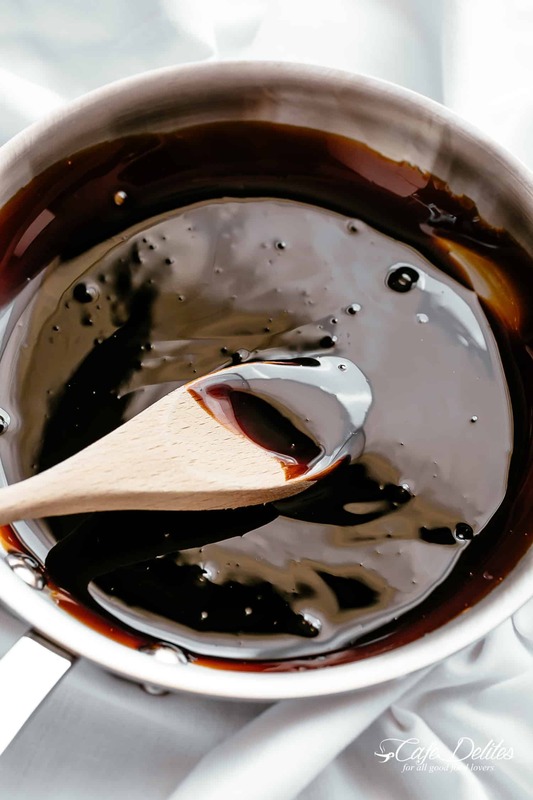 How to make Homemade Balsamic Glaze or Reduction in minutes with just one ingredient! 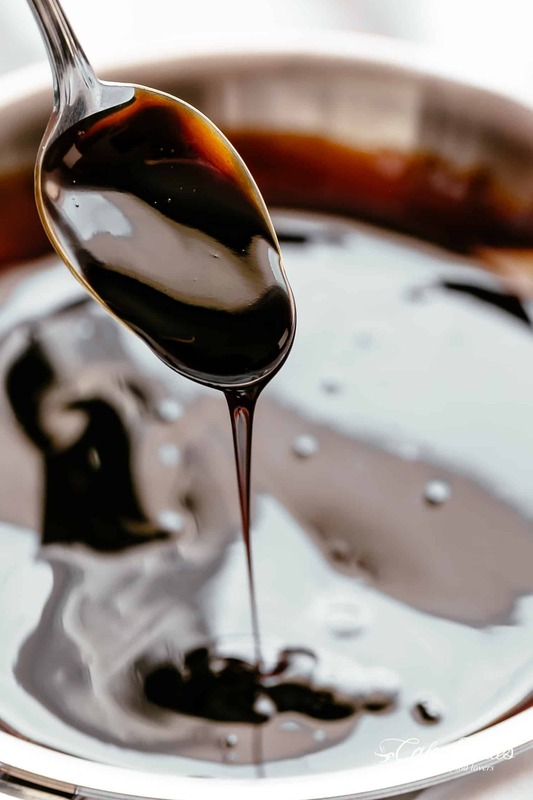 Balsamic Glaze (also known as balsamic reduction) is so easy to make in your very own kitchen. Balsamic vinegar cooks down and turns into a much-loved condiment to drizzle over anything. Chicken, fish, salad, pasta, bruschetta, steak, vegetables, fruit — the options are endless! Turn any regular dish into something extraordinary with the intense flavour! 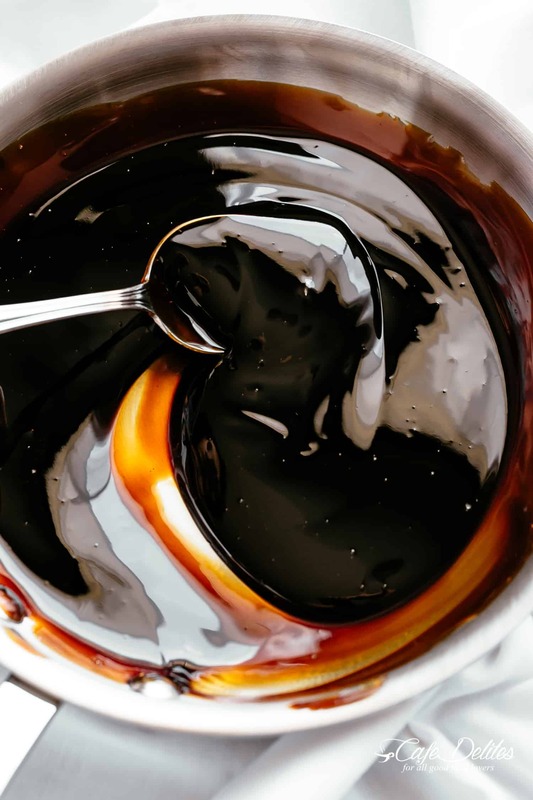 With perfect balance of sweet and tangy, balsamic glaze adds a delicious, deep rich colour and intense flavour to any recipe. Make a large batch and store it in the refrigerator for when the craving hits. Once you try it, you’ll be adding this reduction to everything on your plate! HOW DO YOU MAKE BALSAMIC REDUCTION? Start with a good quality balsamic. 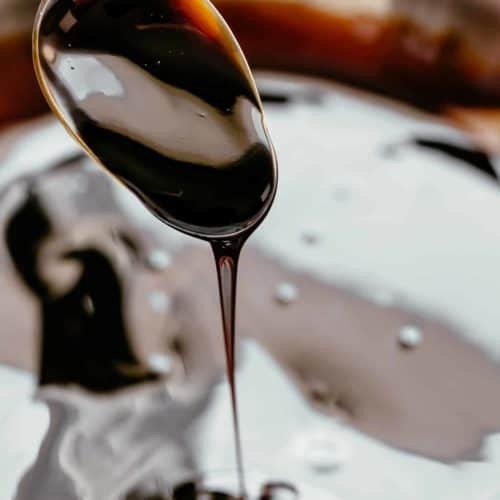 Classic balsamic vinegar comes from the Modena and Reggio Emilia areas in Italy. If you look at all of the different types available in your store, you will see the area each vinegar was made in marked on the labels. To make a glaze, you only need that one ingredient: balsamic vinegar. Many recipes call for an added sweetener of some sort — usually sugar or honey. Cooking it down with those additions helps it cook faster while adding a hint of flavour to the glaze. However, balsamic vinegar on its own turns into a sweet syrup as it reduces into a syrup-like consistency. The time it takes to reduce will vary based on the quality you’re using. Generally, the good-quality vinegars cooks down a little faster than watered down cheaper vinegars. If you like a hint of extra sweetness and the flavour of molasses , add a little brown sugar while it cooks down. WHAT DOES BALSAMIC GLAZE TASTE LIKE? A sweet and tangy syrup that you only need a little of, depending on the recipe you are using it for. It is quite intense in flavour, so start adding slowly. WHAT SHOULD BALSAMIC GLAZE LOOK LIKE? The vinegar needs to reduce to half. It becomes glossy and be thick enough to coat the back of a spoon. Glaze should be pourable; a similar consistency to warm honey. It is important to note that glaze continues to thicken while it cools. Take it off the heat immediately to let it cool. Pour it out into a clean glass jar or dressing bottle and refrigerate for up to a month. Make a larger batch than the recipe calls for if you need a lot of it, or halve it. Heat balsamic vinegar in a small pot or saucepan over medium heat. *If adding sugar, combine both into the pot and heat together. Bring to a gentle boil, then reduce heat to medium-low heat and let simmer, stirring occasionally, until the vinegar thickens and is reduced to about 1/2 cup (about 20 minutes). It should be thick enough to coat the back of a spoon. *If simmering with sugar, it will take about 8-10 minutes to reduce. Remove from heat and allow to cool completely before serving (about 15 minutes). The glaze will thicken slightly as it cools.